Infants are welcomed into a warm, safe, loving environment. Our infant room is a shoe-free zone to create a clean and safe area for infants to express themselves as they learn to roll and crawl. Every day will be spent eating, sleeping and growing! Tummy time, mirror play, sign language, stories, sensory play and jolly jumper exercise time are all part of daily activities. We take nap time very seriously; during resting times the lights are dimmed and soft music played in the background to help create a soothing environment. Toys are sanitized as they are used to help stop the spread of germs. We will provide all the necessary bedding for your infant which will then be washed on a weekly basis. Parents are responsible for food, bottles, and formula/breast milk but we will provide all necessary bibs, cloths, and utensils. 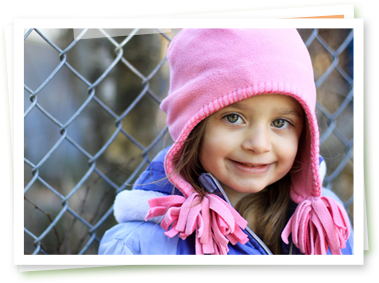 We work with every parent to protect individual schedules. Caring for your infant is our privilege; we expect and invite your input and expertise. Our infant room is equipped with a refrigerator to store daily meals and breast milk. We will only use a crock pot to heat bottles. You will be asked to take home any bottles used during the day and return them to us clean. All formula and baby food must be brought in to us unopened. Every day a daily sheet will be sent home with you detailing your infant’s day. Eating, diapering, and sleeping will be clearly defined for you. Call us with questions! Your peace of mind as well as your infant’s comfort is our ultimate goal.